In a town of a few thousand people, there are rolling hills with farms and something that’s always in season: kindness. A few farmers gathered Monday morning to harvest fields belonging to Mark Shoultz, 56, who recently became ill with West Nile Virus. “He’s on the mend but cannot help his 86-year-old father finish the harvest,” neighbor David Jedlicka said. Five combines are out on Shoultz's farm and will spend the day picking beans until sundown. The family farm, roughly a 1,000 acres, mainly grows soybeans and corn. For most of Monday afternoon, farmers plan to gather around 300 acres' worth of crops. The gesture is something Shoultz appreciates since it would take him much longer to harvest. 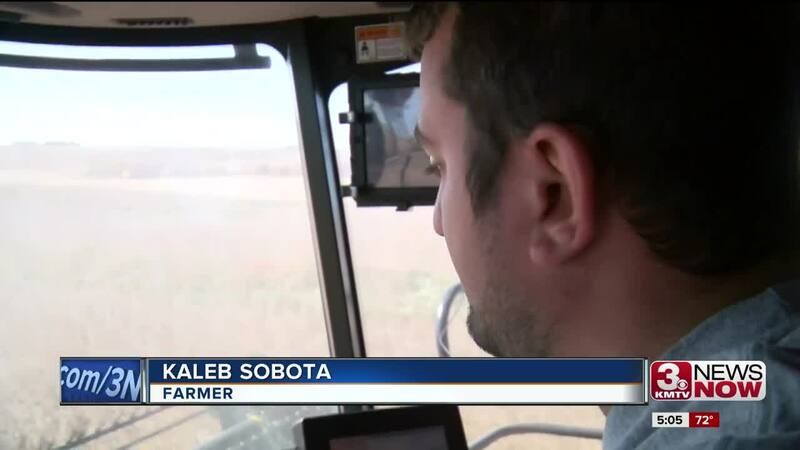 Kaleb Sobota drove a combine on a portion of the Schoultz family farm. “It just shows that in the agriculture community that everyone kind of has your back when something like this happens,” he said. Mark Shoultz caught the West Nile Virus in August and recently returned home.